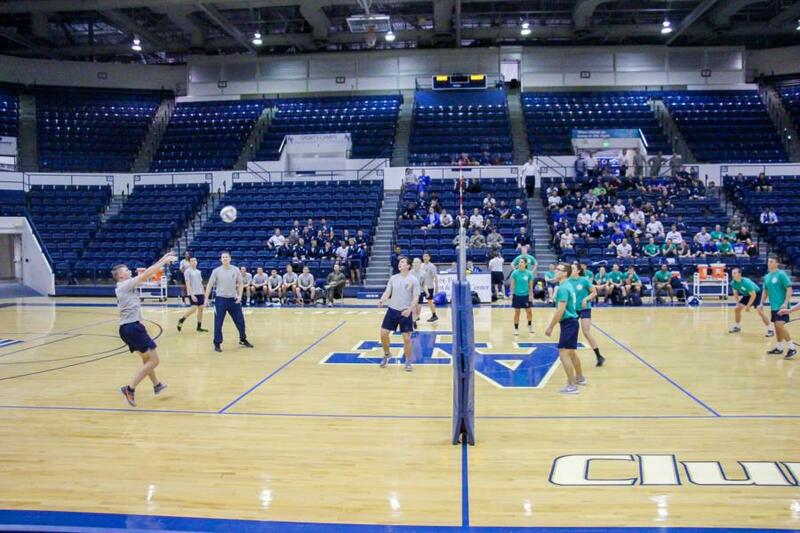 This week the Volleyball and Basketball Intramurals had their Championship games! 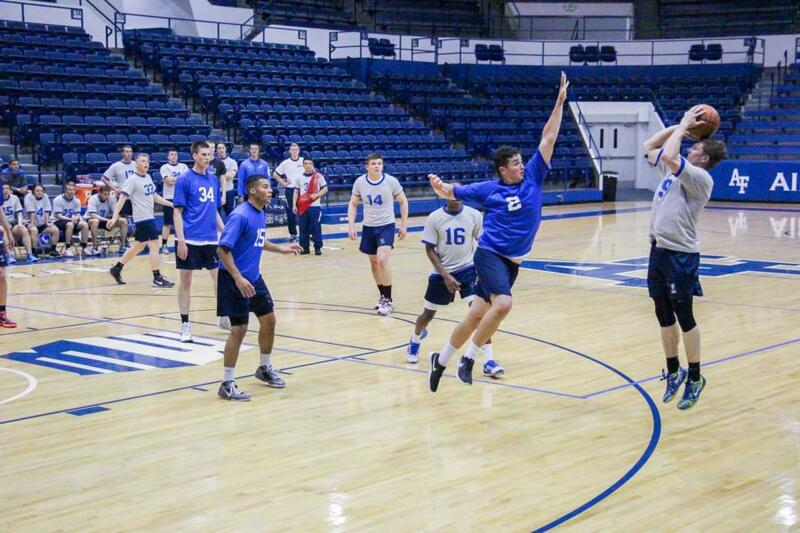 Previous Championship games this year have taken place on the Tzo, but they were able to have this Go's Intramural Championships in Clune Arena. 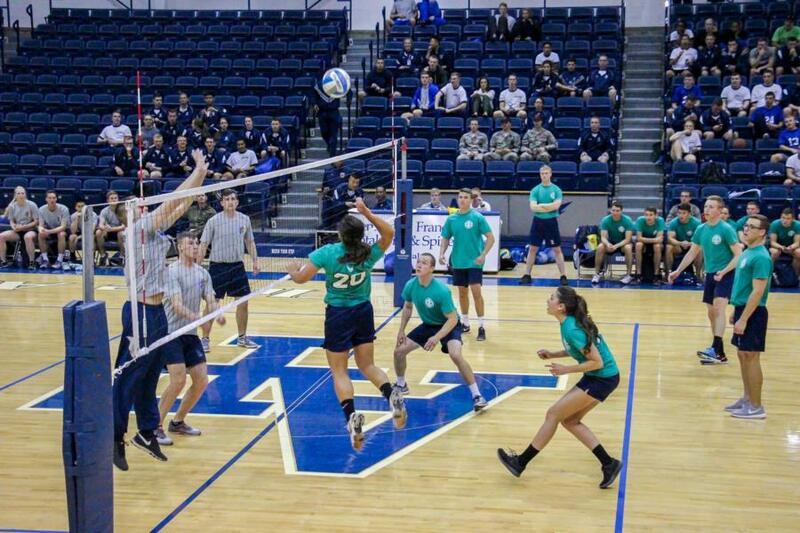 Volleyball went first, the top two teams were Squadron 20 the "Tough Twenty Trolls" against Squadron 30 the "Dirty Thirty/Knights of Thirty." 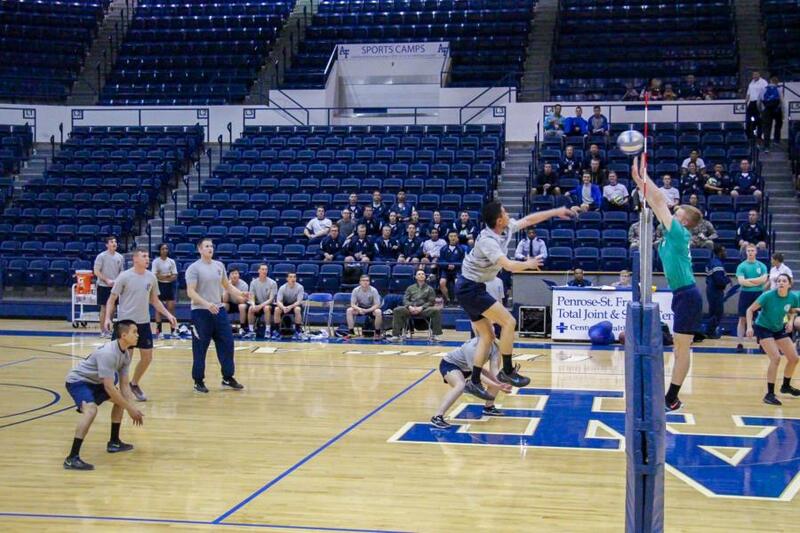 The winner in Volleyball was Squadron 30! After the first two rounds, each team had won one game and were at a tie. Squadron 30 won in the third round making them the Volleyball Intramural Champions! We were able to catch on video Squad 30's final point of the game! After a short intermission, the Basketball Intramural Championship began, the top two teams playing were Squadron 19 the "Mighty Wolverines" against Sqaudron 39 the "Jedi Knights." 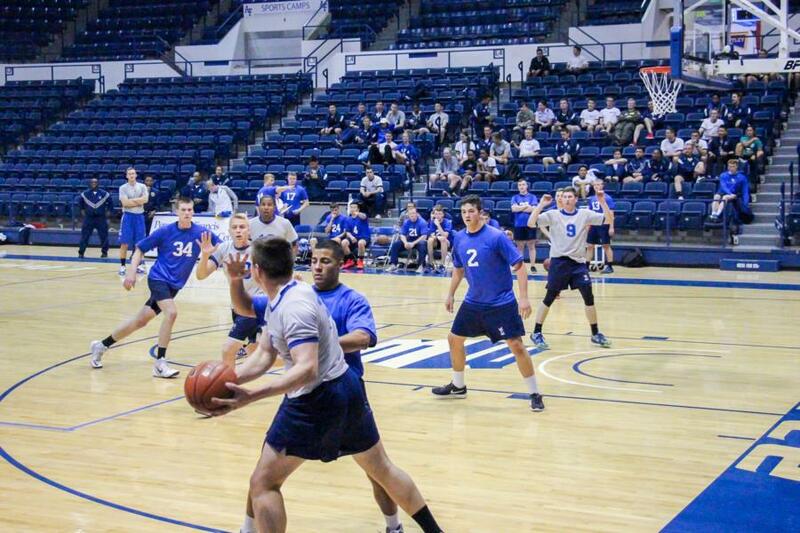 The winner in Basketball was Squadron 39! Both teams played really well, the final score of the game was 28-17! Way to go Squadron 39! 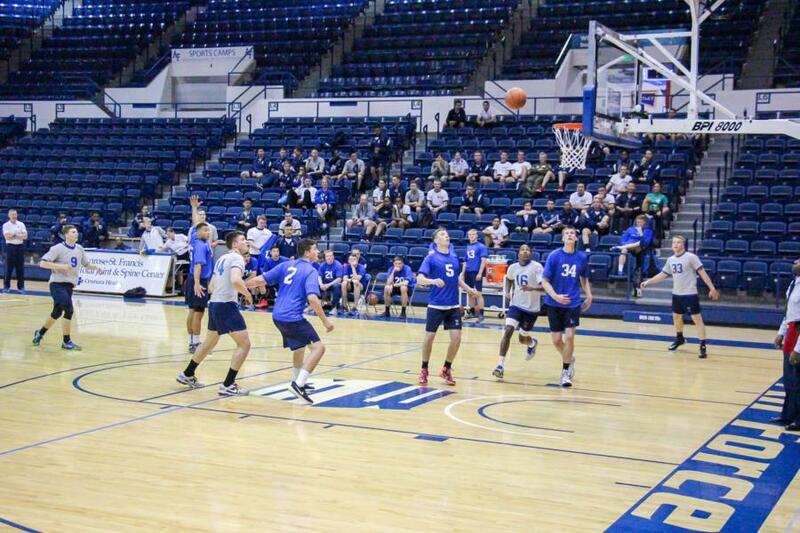 To view the rest of the pictures taken during the Intramural Championship Games go to Galleries - Extracurricular - Sports. Or click the link below.